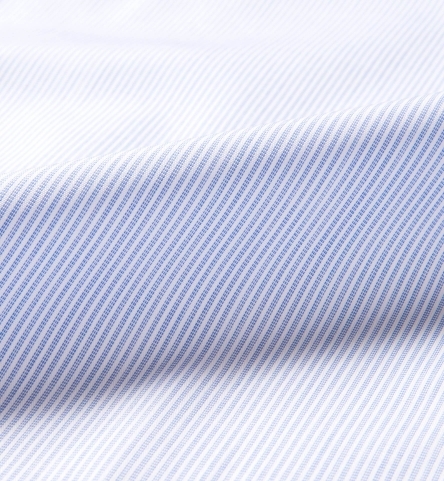 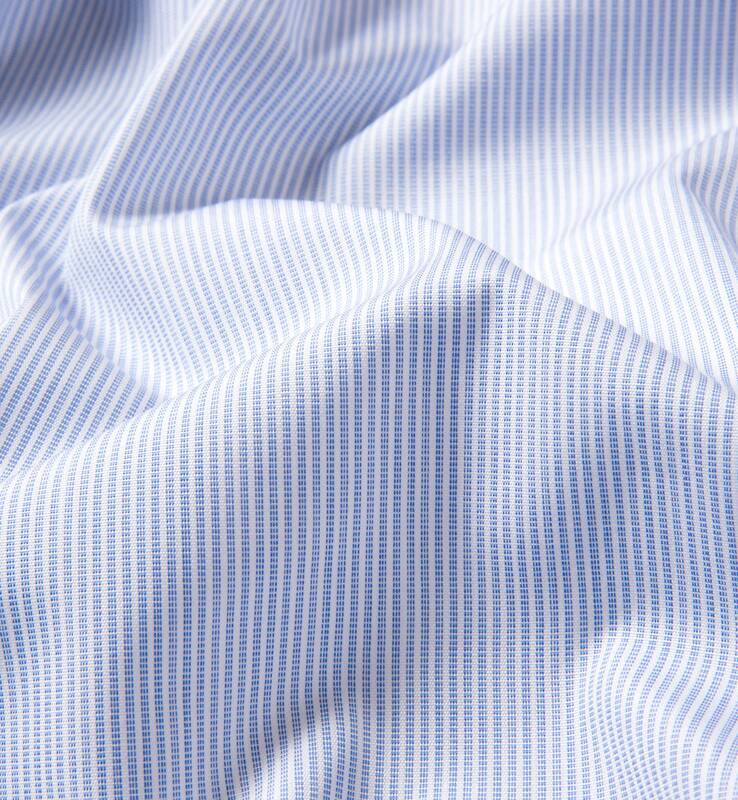 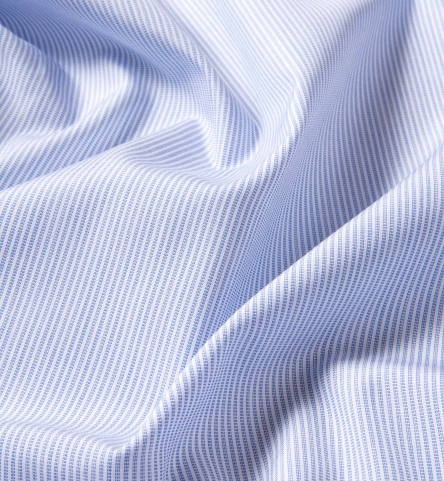 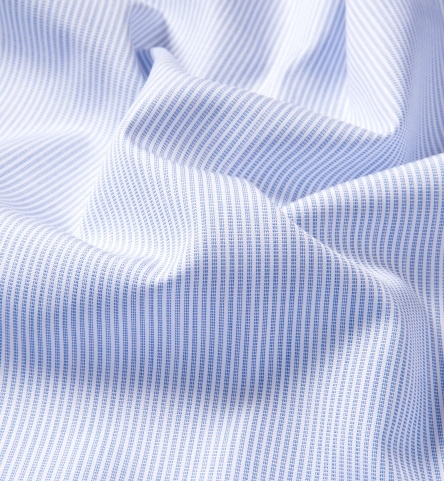 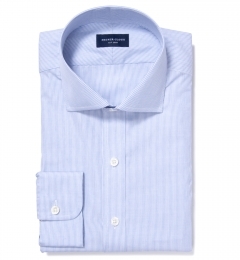 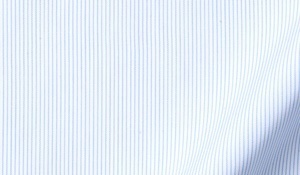 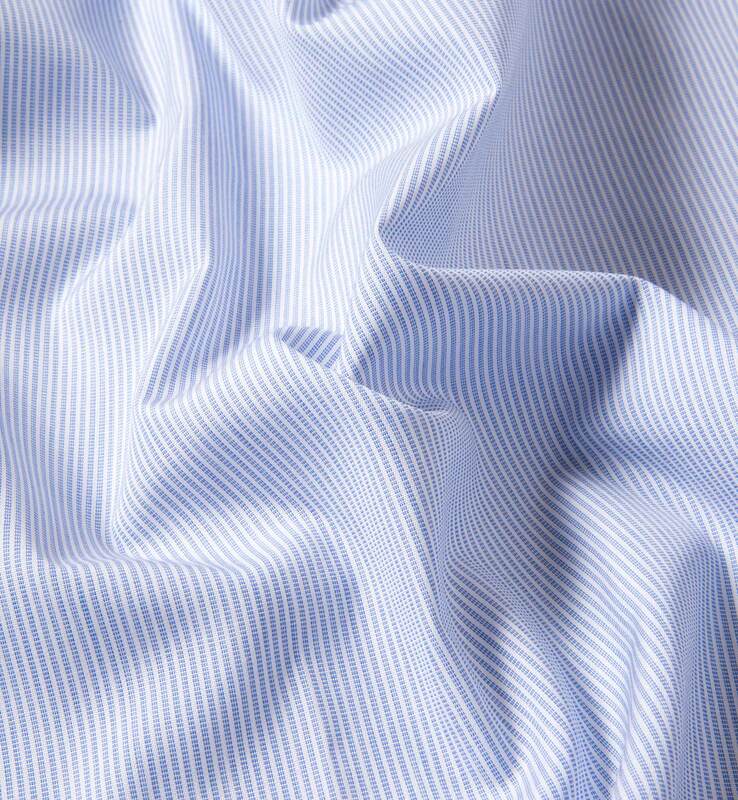 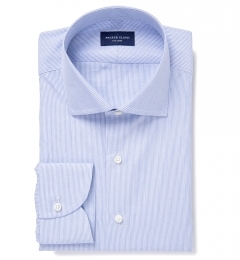 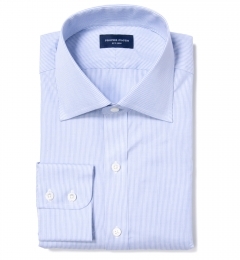 A subtle business-ready stripe woven in a luxurious 100/2 x 100/2 broadcloth construction by Thomas Mason. 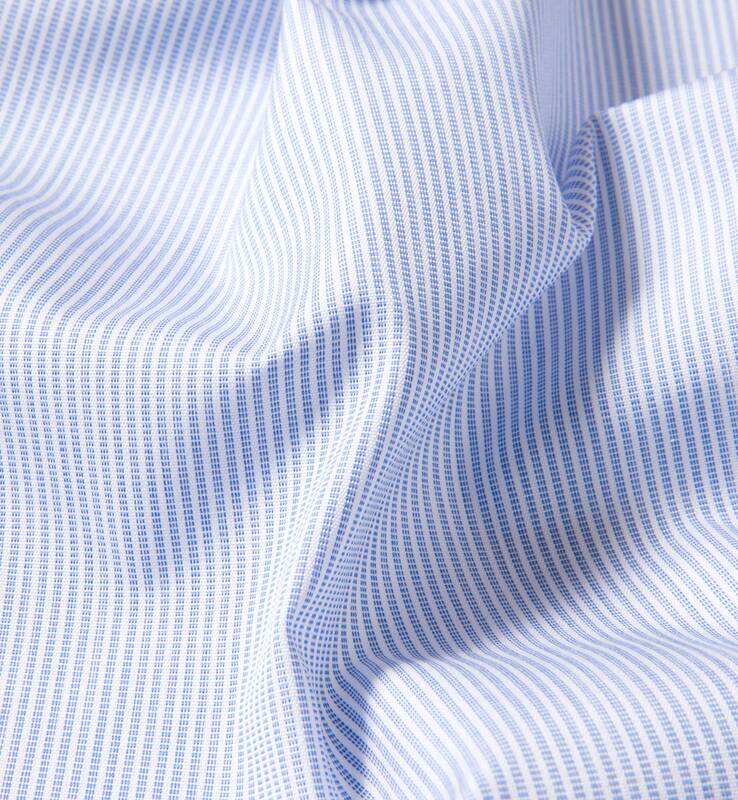 This end-on-end stripe ups the ante on the typical business pattern by using alternating white and blue threads along the warp and weft to create a heathered effect to the stripe. You can practically treat thin end-on-end stripes like this as another solid and pair them effortlessly with any of your ties, jackets, and trousers. 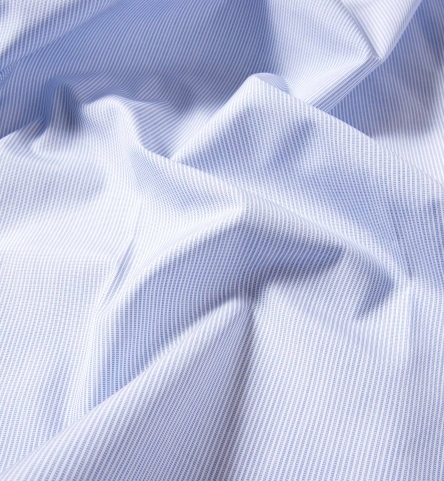 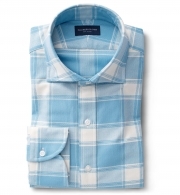 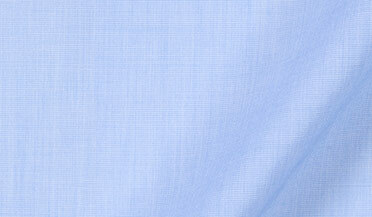 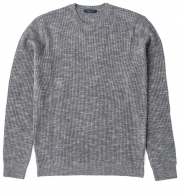 This fabric has no texture and a smooth, lightweight handfeel. 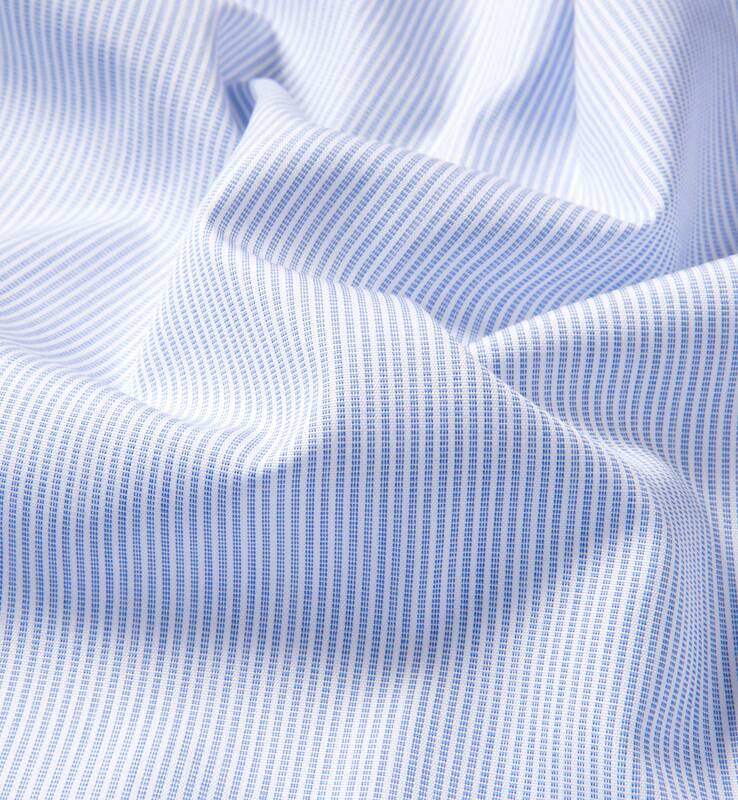 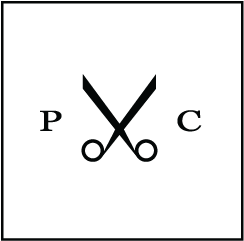 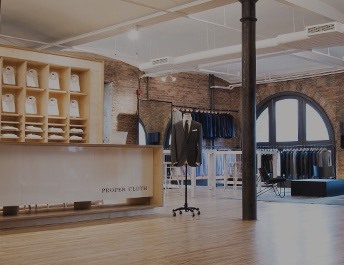 Go with our President Spread or English Spread collar for your next go-to business shirt.Learn more about Thomas Mason here.